Permite Cream 5% w/w contains Permethrin 5%w/w as an active ingredient used in the treatment of Scabies. You can find it at all the leading online pharmacy, drugstores, and medical supply stores. Encube Ethicals Pvt. Ltd. (India) is one of the leading Pharmaceutical Company which manufactures Permite Cream 5%. 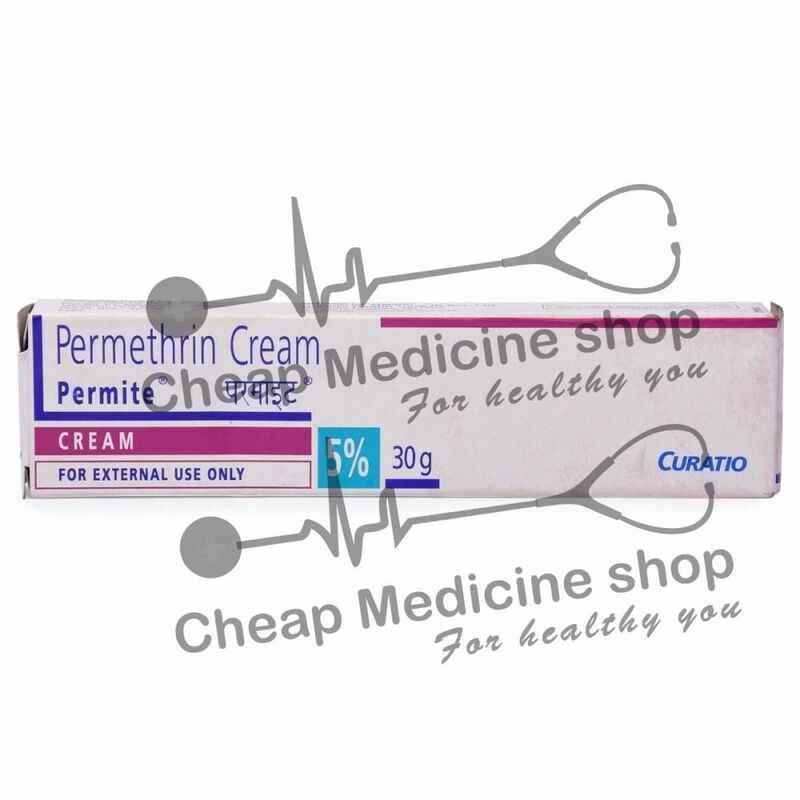 Permite Cream 5% w/w 30 gm tube contains an active ingredient, Permethrin 5% w/w in a 30 gm tube. It should be noted that this medicine may be available in various strengths. Permite Cream 5% contains an active ingredient Permethrin, a pyrethroid compound belonging to a class of medicine called Ectoparasiticides. It basically acts on the nervous system of many pests like Itch Mite and head and Pubic Lice causing paralysis and death. If your skin is accidentally injured, has cuts and scrapes. Permite Cream 5% w/w is available in various strengths at every leading online pharmacy, drugstore, and medical supply store. It should be used as directed by your doctor. It is not recommended for Pregnant/Breastfeeding women. You should apply the required amount of Cream only as the excessive Cream will not increase the healing process but the piling and adverse effects. You should check your hair for active infestation with lice or mites after one repetition of treatment after 14 days because you may be at risk of developing resistance to the treatment. Recommended Dosage: Take pea size Cream on your fingertip and apply a thin layer of the Cream to the affected area once/twice/thrice a day as suggested by your doctor. Take a pea size Cream on your fingertip and apply it by rubbing gently over the affected area (avoid applying near eyes, mouth, nose and inner ear). Clean your hands carefully after applying unless your hands are the affected area. You should use this Cream for as long as directed by your physician. Moreover, its effects usually become noticeable (about after 2-3 days) after its use. Do not use this cream for a long time. Excessive Cream application results only in piling of Cream and may add severe adverse effects. It shows its effect on time and applying too much of it will not accelerate the process. If the cream comes in the contact of eyes and mucous membrane then wash thoroughly with water. If conditions get worse, always contact your doctor immediately. A missed dose should be applied as soon as you remember it. Skip the missed dose and go back to your regular routine if it is almost time for the next dose. Do not apply multiple doses at the same time. Skin Cosmetics and Topical Herbal Products may react with the Cream if applied simultaneously. You must inform the doctor about all the medicines you are already taking. Sanitization of yourself and your surroundings is an important thing to avoid many Skin problems and allergies. If skin irritation or allergy persists after using this Cream then stop using it and consult your doctor. Avoid direct contact with your eyes, mouth, nose or other sensitive areas. Wash your eyes or other parts thoroughly or seek medical help if the cream comes in contact with these sensitive parts. Always keep the Cream in proper conditions and out of the reach of children. Apply the cream on small portion of the hair to ensure it does not affect your colored or permed hair before application to entire head. Read the insert of the tube thoroughly. Always tell your doctor about your medical history and follow the instructions as directed by the doctor. Keep the tube in a dry, dark and clean place. Avoid refrigeration.